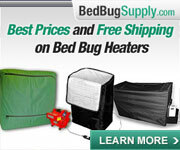 Climbup Interceptors now at US Bed Bugs: coupon for free shipping! Passive Monitors One Mo Time! 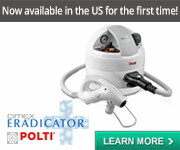 Will CO2 monitor in one room cause bed bugs to spread? I am currently testing these monitors and will update you as I have more information. My PCO put these exact monitors on my bed legs! I've had it on there for a few weeks now and no bedbugs have been caught. I'm not sure I have bedbugs, though, so I'm not saying they don't work. Maybe I simply don't have them. I have mysterious bites that I am still trying to determine the cause of. Anyway, I will continue to reply to this thread if there are any developments in my case. Very glad to see more people using these traps, though. This is really cool, I like the idea, it is so simple yet so brilliant! 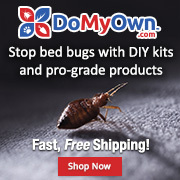 Great solution and I can see it working in situations where bed bugs are located away from the bed and have not learnt to climb the walls yet. Not going to rush out and stock up though because its the wrong side of the exterminate versus isolate fence for me. Looking forward to hearing the research on these babies! We'll be filming a BBCTV episode about these, I think, on Thursday and it should be up by at the latest next week. We've been working with these for quite some time and the episode should provide some insight on use and results. The talcum powder they are coated with (on the inside of the wells) prevent the bugs escape from the devices. 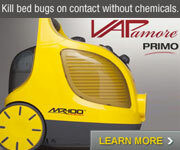 They definitely hold a lot of promise in assisting with bed bug infestations. In our research we've found that there are way more bugs off of the sleeping areas then you would first expect. Obviously, cooperation in isolating the bed and keeping the sheets up off the floor is critical. We are currently in negotiations for world wide distribution and manufacture of the passive monitors with the plan of having them mass assembled and ready to ship by the end of March 2009. They are however a true passive monitor not a trapping device so are designed to be used for detecting an infestation rather than to assist in the removal of a current infestation. Fear not they will be available soon. Looking forward to your monitors, David! We'll be filming a BBCTV episode about these, I think, on Thursday and it should be up by at the latest next week. Feel free to post the link to it in this thread when it's up, JWhite. I think there is a flaw in the design of this trap. While still better than most glue traps... I think the idea of a inner well and outer well is not enough. We need a third well. The reason is that the BB that climb down the bed into the inner well will not be able to get out... but what prevents them from climbing back up the bed and finding a better harborage? If you were a bedbug would you stay in the well, exposed to the elements, or will you climb back up and find a snug spot? The outer well is well designed. But we need a middle well, so that the bedbug climbing down can climb up into the middle well and be stuck there and not be able to climb back into the inner well (and thus into the bed). The numbers provided show that more are caught in the outer wells, suggesting that more BB are coming from outside the bed than expected. This is true only if the BBs coming from inside the bed are trapped... but they are not under the current design.. they can go back up the bed leg and into your bed! Jimmy, I think your analysis of the design is quite interesting and it would be true if they are able to climb back up into the bed, I would think they would. Looking forward to others comments on your thoughts, as the questions/concerns you have posed do sound very sound. The talc does make it more difficult for the bugs to climb back up but even still, it is possible. This may be addressed on future versions but the inner well is already limiting for certain bed and bed leg types and a design that limits bugs going back up is difficult to create. The primary intentions are to "intercept" the bugs coming from the areas outside of the bed. If you combine these traps with encasements, laundering of bed linens and a treatment of the bed frame they should be very effective in capturing the bugs coming from the surrounding environment (which many times are the most difficult bugs to find and eradicate and of course assuming that there are no natural bridges provided by blankets, the bed touching the wall, etc... and the bugs don't drop from the ceiling). Not to mention that some bugs coming down do get trapped in the inner well. We're filming tomorrow barring any unforeseen issues and hopefully will have the episode up tomorrow afternoon. I will post a link ASAP and that should provide visuals of intended uses and the pro's of the product, which in my opinion, drastically outweight the cons. so let me get this straight... once they step into the talc, and get their legs "dirty" so to speak, they automatically become bad climbers? no matter what the surface is that they are climbing? I was under the impression that they were just not able to climb the surfaces that are covered with talc, and so the bedframe would still be fair game. PS - I've put the Climbup traps on my bed legs more than a month ago. I've washed and dried my linens multiple times, cleaned every inch of my bedframe (which is metal) and replaced all the wooden slats that hold up the mattress with new store-bought wooden slats... and every time i get into bed I change into "bed clothes" and whenever i get out of bed I change into "non bed clothes" to cut down on the chance of them hanging onto my clothes and getting into bed that way. Also: my mattress is encased and has been for a long time. The PCO opened up my mattress and couldn't find any BBs. I try my darndest not to let my linens hang off the bed. I'm still getting bitten though! Could it still be bedbugs? None have been captured in the traps so far. I haven't found any traces of them, but I keep getting bitten. I'm thinking about re-washing everything again this weekend and doing another frame inspection just to be sure. Just got rid of my murphy bed (external mounted like a bookcase) and replaced it with an all metal futon frame (no wood slats thank you). My bed bug traps are flan dishes - flat sides and bottoms about 6 inches wide. double sided tape on the outsides, murphy oil on the inside. Legs fit nicely inside. nothing touches the bed but me. NO BITES TWO NIGHTS IN A ROW, FROM THE BED. some little bites from around the house (small house 416 sq ft condo) promising. Of course there is poison everywhere, as in "I heart poison." just have to add - no socks to bed for those two blissful nights, looking forward to a third, tonight! Yay! Sleeping alone was never so good. 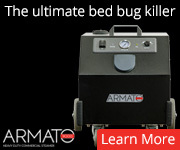 Jimmy, you may want to looking at the possibilities that you don't have bed bugs. I'm not saying that an odd situation couldn't be taking place but after a while, when you repeatedly still can't find any evidence, it may be time to look in another direction. Yeah, as long as the outer well has a thorough yet light coating of talcum powder present, they can't escape the well (also assuming there's no debris in it for them to use as a ladder). They have a hard time climbing the walls regardless but they can get out if the the talc isn't present. When we actually perform experiments on bed bugs we use large, smooth surfaced tupperware containers to keep the experimental bugs in. They have a very hard time and usually can't climb the smooth surface tupperware walls. Compared to many other bugs, they aren't good climbers. As for the inner well, the talc appears to increase the amount of bugs that are caught but I'm assuming some still can make it back up the legs of the bed. The talc helps but it doesn't prevent the bugs from climbing back up. Actually am playing with these myself and have a few out in the field in addition in a recent discussion with a fellow entomologist they had positive feedback as well. Am also awaiting my Nightwatch. any new updates on these? 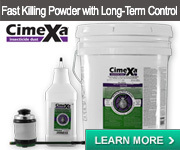 or has anyone on the website (who has a known infestation) tried them? i'm anxious to learn whether they might catch a bug in a VERY LOW infestation. like, one or two bugs. thoughts? The important thing to remember is this will ONLY detect bed bugs which walk off of or onto the furniture the traps are under. 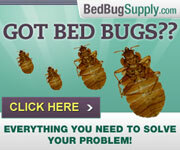 If your bed bugs are happily living in that bed (or whatever) and biting away, they will not need to cross. 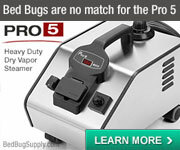 In time, you may have an "outlier" set off for another region, or more bed bugs coming from elsewhere to join the fun. In other words, it may take some time, especially if you have few bugs. nobugs - thanks!! i hadn't read that last comment.